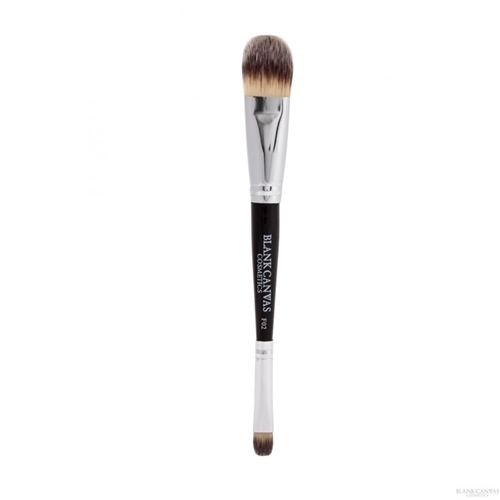 The F02 is a multi-purpose double-ended face brush from our Pro Deluxe Series. Handmade from extra soft, high quality anti-bacterial, easy to clean synthetic fibres, this brush is also vegan friendly. The F02's large paint brush style fibres on one side allow you to create a flawless foundation base while the small pointed fibres on the other side are perfect for applying concealer to finish your look. This brush can be used with cream or liquid products.